Oh boy. The Satanic Temple, a group known for challenging what they see as violations of the separation between church and state, has just announced their latest plans: They want to start “After School Satan” clubs at elementary school around the country. And, according to The Washington Post, their plans likely do not violate laws or policies in many areas, as there are currently Christian after-school clubs (like the Good News Club) at schools around the nation. 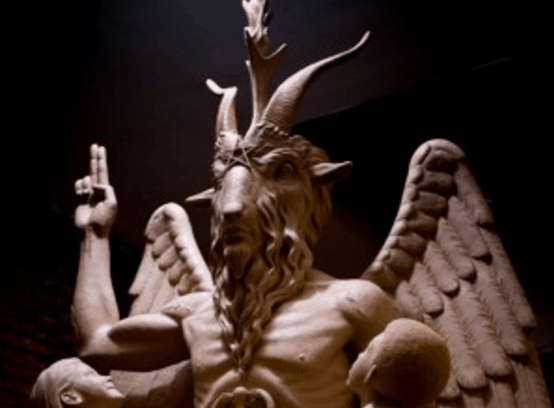 Despite their name, the Satanic Temple isn’t an actual religion—they don’t even necessarily believe in the devil, but instead see him as a metaphorical figure. Their main messages are what they see as “reason”-based values, and challenging what they see has state-sponsored religious activities. They recently released a promo video advertising the clubs (which, just a warning, you may find disturbing). “It’s important that children be given an opportunity to realize that the evangelical materials now creeping into their schools are representative of but one religious opinion amongst many. While the Good News Clubs focus on indoctrination, instilling them with a fear of Hell and God’s wrath, After School Satan Clubs will focus on free inquiry and rationalism, the scientific basis for which we know what we know about the world around us. We prefer to give children an appreciation of the natural wonders surrounding them, not a fear of everlasting other-worldly horrors. The group has also made headlines for opening public meetings with “satanic” messages (instead of prayers), and building a giant demon statue that they said they would fight to be placed on the Oklahoma Statehouse grounds unless a statue of the Ten Commandments is removed.